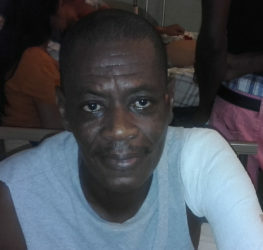 Anthony Seals, the driver for Speaker of the National Assembly Barton Scotland, recently had his left arm amputated following an accident at Chateau Margot, on the East Coast of Demerara. A spirited Seals, 52, told Stabroek News from his bedside at the Georgetown Public Hospital (GPH) yesterday that he is grateful for life, despite the fact that he is now an amputee as a result of the accident, which occurred on March 27. Seals stated that the accident occurred while he was returning from a trip. He mentioned that he had driven close family friends over to West Demerara. When the accident occurred, he said, he was heading to the East Coast at a rate of about 30 miles per hour, since there were elderly persons in the vehicle, which was an open back Ford truck. Upon reaching Chateau Margot, Seals said he saw a vehicle swerving in and out of traffic. According to Seals, the car hit the truck’s front wheel, causing it to turn on its side. As a result, Seals said that his left hand was crushed. According to the father of seven, police officers, who were nearby, went to his rescue and rushed him to the GPH. He said the other passengers only received scratches and minor injuries. Seals has undergone four surgeries since his hospitalisation and he is due to undergo another on Monday. He said he was forced to have his arm amputated at the elbow after he was told by his doctor that he had an infection on two of his fingers on his left hand that would eventually spread throughout his body. Seals added that the driver of the vehicle that hit the truck was taken out of his vehicle by a public-spirited citizen but escaped from the scene. As far as Seals is aware, the driver went to the police station and was being held by the police. 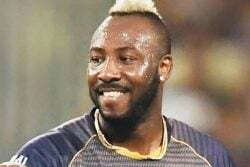 He said, however, that he has received visits from persons apparently from the other driver’s family querying about the type of insurance he has. Charges are expected to be filed against the other driver once Seals is discharged from the hospital. He stated that if he receives assistance from the other driver, as he is now unable to financially support his family, then he will not pursue any charges.